I think sometimes I just end up putting up a post that's basically all recipe because it's so hard to find the time to pin down and write the story behind it. I was very tempted to that with this post, mostly because there are so many stories behind the recipes for ricotta cheese, blintzes and chipolte potato-corn chowder that I don't know where to begin. In the end I just decided to give a brief synopsis of all the different stories. 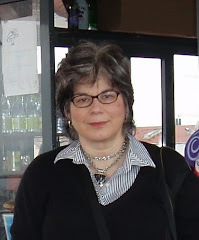 Story 1 -- The Jewish Connection -- The evening of June 7th is the start of Shavuot, a holiday commemorating the giving of the Torah on Mount Sinai and associated with eating dairy foods. 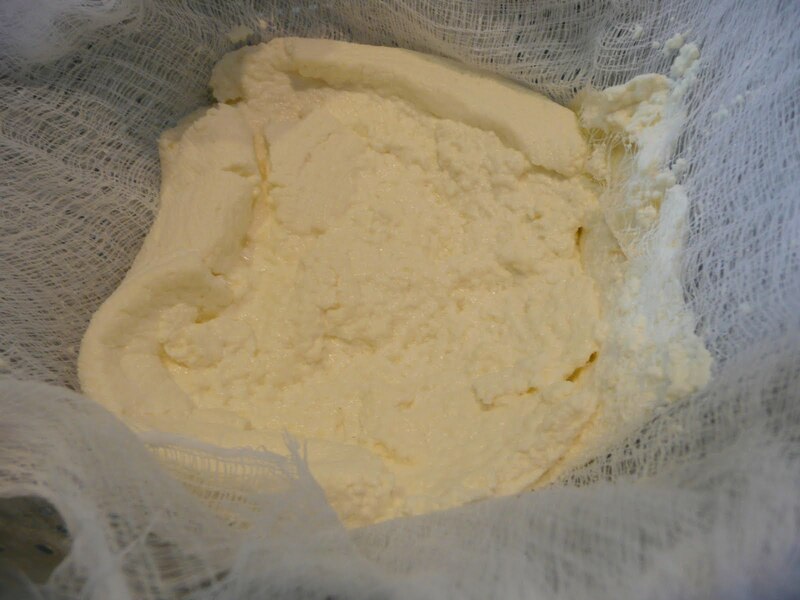 Last year, I wrote about making my own ricotta cheese for the holiday. This year a group of Jewish friends asked me to teach them how to make their own ricotta cheese and decided we'd turn our fresh curds into blintzes (kind of a Jewish/Eastern European crepe burrito filled with soft cheese). ﻿﻿ Story 2 -- The Grandmother Tale -- I can still see my grandmother, an apron tied around her waist, with beads of perspiration dotting her face, in her small kitchen making her blintzes. Grandma made a relatively few dishes over and over again, many of them not very exceptional (ketchup was her choice of sauce for pasta). However, her stuffed cabbage, brisket (only when she burned the onions) and blintzes were exceptional. Unfortunately no one in the family wrote down her blintz recipe and I've been searching through the years for something that matched my taste memory of her tender crepes and creamy, satisfying cheese filling. I did inherit her two small steel blintz pans, though. Story 3 -- The Cheese Stands Alone -- There's a look people get on their face when you tell them you made your own cheese. It's somewhere between disbelief, awe and envy. No matter that you tell them how easy ricotta is to make, they still envision something complicated and impossible. The envy part comes from them imagining how wonderful, ethereally perfect your homemade cheese must taste. In that they are correct. The chowder recipe comes out of the cheesemaking. I just couldn't bring myself to throw away the whey. With all the back stories now in front, here's the recipes for fresh ricotta, blintzes and chipolte potato-corn chowder. This cheese is light and fluffy. It can be kept a few days but will become denser. Eat fresh sprinkled with salt, pepper and chopped herbs or with berries and honey. Use it to make fillings for blintzes (see below) or other good things. The recipe will generate about a quart and a half of whey (liquid) in addition to the cheese. ﻿﻿﻿ Combine the milk and cream in a pan. Cook over a medium-low heat stirring occasionally until the milk begins to simmer (about 185 to 190 degrees on an instant read thermometer). Add a tablespoon of lemon juice. Stir and watch for the mixture to separate into tiny curds about half the size of a small grain of rice. Repeat until curds appear. Save the rest of the juice for another use. Pour the curdled milk into a colander lined with a dampened, double layer of cheesecloth. Drain over a deep bowl for an hour or until very thick. Discard the liquid, or whey, or use to make soup or bread. 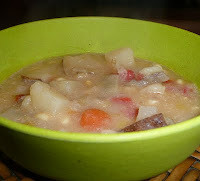 (See chipolte potato-corn chowder recipe below.) Store airtight in the refrigerator. As long as you are making blintzes, you might as well make a lot of them, so you might want to double or triple the recipe depending on how many blintz eaters you have. Everyone always ends up eating "just one more." Extras freeze well. Serve with sour cream or yogurt and fresh fruit or jam. Blintz crepes differ from traditional crepes in that they are cooked on only one side (so no flipping them over). Recipes for the crepes vary from lots of flour and very little egg to just the opposite. Below is one I recently used adapted from Arthur Schwartz's Jewish Home Cooking: Yiddish Recipes Revisited. His version is based on his memories of his grandmother making blintzes, so I related to it. They also came out perfect, easy to make and handle. If you have made the ricotta cheese, try substituting the fresh whey for the milk and water. Place all ingredients in a blender. Process until well combined, stopping to scrape down sides of blender as needed. Batter should be "very smooth and the consistency of very heavy cream). 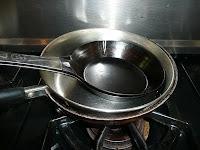 Heat a 6-to-8" omelet, fry or crepe pan over medium heat. Once hot, brush pan with melted butter. When butter sizzles, lift pan up, pour in 3-4 Tbs. of batter (amount will vary depending on size of pan. Avoid making the crepe too thick), swirl pan to cover bottom evenly with batter and return to heat, cooking for about 1 minute or until bottom of crepe is light brown or has light brown spots and the inside has set. Turn out on clean dishcloth and repeat until the batter is used up, reapplying melted butter to pan as needed. This version uses freshly made ricotta cheese. If you don't have that available use the freshest artisan ricotta or farmer's cheese you can find in the market. If those are not available, use regular commercial ricotta cheese or mix the commercial ricotta half and half with drained cottage cheese. 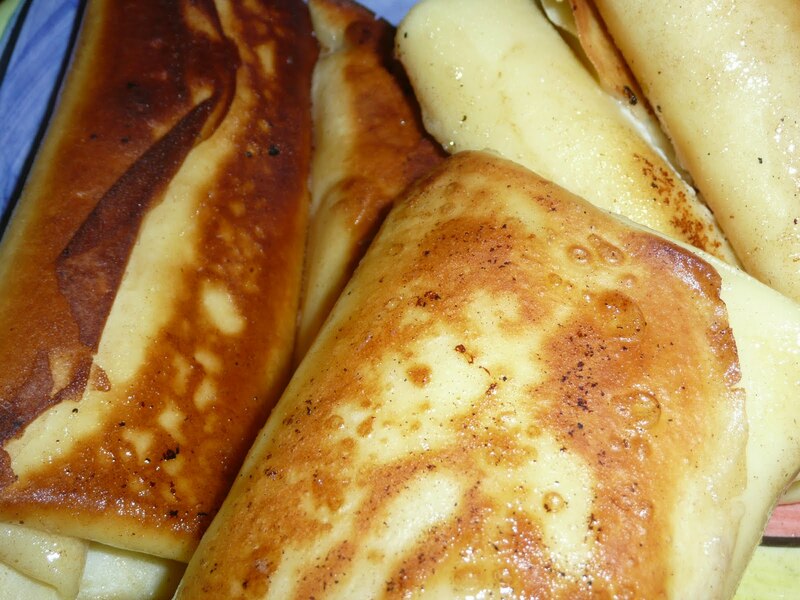 Have a blintz crepe in front of you, brown (fried) side down. Place about 2 Tbs. of filling in the middle, leaving about an inch margin at top and bottom of crepe. Fold top over filling. Fold bottom over filling. Fold one side then the other over. Heat large fry pan over medium high heat. Add butter. When melted, fry blintzes in batches, flipping to get golden brown on all sides. This chowder packs a bit of smoky hot heat which works well with the milky taste of the chowder. If you need it milder, seed the chipolte pepper or try using just half a pepper. I like this chowder best when the corn still has some crunch to it, so be careful not to overcook. For a smoother, thicker chowder, puree about half of the soup. Heat large pot over medium high heat. Add oil. When hot, saute leeks and garlic until garlic begins to color. Add carrots, celery and bell pepper. Saute for a minute. Add whey, potatoes and chipolte pepper. Stir well. Bring to just under a simmer (do not boil). Cover and lower heat to keep at a simmer, stirring occasionally. Cook for about 8-10 minutes or until the potato cubes are soft almost all the way through. Add salt, pepper, and corn. Simmer another 5-10 minutes until corn and potatoes are cooked through. Taste and correct seasoning. Sprinkle paprika to garnish just before serving, if desired. I'm impressed at you making your own cheese. I've never tried it! I know, intelectually, that making cheese, particularly ricotta, is pretty easy. That's my brain talking. The real me? Run away, run away! I've never done this and I really need to learn. You've inspired me; I'll definitely be making ricotta sometime this year. Blintzes are another thing I've never made, though I've made tons of crepes over the years. Reading your recipe, it sound pretty much like the time to remove the blintz from the pan is about the same time I'd normally flip a crepe. Is this correct? If so, I'm also assuming the blintz isn't totally "done" but finishes cooking when you fry it. Or am I misunderstanding? This blog certainly took me back several decades to watching my Nana perspiring in her too small kitchen. What wonders she turned out of that little space. I am happy to have found your blog. Ricotta cheese is one of those ridiciously easy fresh cheeses that is well worth the very little effort. Traditionally ricotta is made with the whey left over from making other cheeses, so my version is a bit of a cheat, but it is delicious. Let me know how yours comes out if you ever try it. Realized I didn't answer your question about blintz crepes. Yes, it's about the same time you'd flip a regular crepe, or maybe a bit longer. It shouldn't be tacky. The chowder was fabulous. I'd never used the whey before - always hated throwing it out! This was so easy and went with what's in the garden. I substituted some fresh jalapeno - a drop of smoke flavor and various greens (kale, spinach etc) for the celery. I see LOTS of adaptations in my head now...thanks for the great recipe! Thanks go coming back and leaving a comment. That was my thought, too, especially once I tasted the whey.